Jed Hoyer was hired as San Diego Padres general manager in October of 2009, taking over for Kevin Towers, who had held the position since 1995. When Theo Epstein left the Boston Red Sox for the Chicago Cubs following the Red Sox’ 2011 collapse, he plucked his former colleague, Hoyer, from the Padres to take on the Cubs’ GM role. Just like that, Hoyer’s promising two-year reign in San Diego was over. While the Padres finished two games under .500 during Hoyer’s tenure, there was a lot of restored faith in the long-term outlook of the organization. Schooled at Ivy League-like Wesleyan University and brought up in the sabermetrically-inclined Red Sox front office, Hoyer is the embodiment of the new-school GM; savvy in analytics, yet still understanding the importance of scouting and development. Hoyer’s resume is in stark contrast to Kevin Towers’, who followed the more traditional player-coach-scout path in his rise to GM. Their styles differed, too. Towers was lauded for his shoot-from-the-hip approach, Hoyer seems to be more measured. Hoyer, along with Jason McLeod (who also departed for Chicago) and staff, turned the Padres run-of-the-mill farm system into arguably one of the best in baseball in just two years. Hoyer used two solid drafts and a number of shrewd trades to compile a long list of top prospects. Further, he made a good number of astute moves at the major league level to make the Padres competitive, while holding onto all of the Padres’ young assets. With Hoyer taking over a struggling Cubs franchise, it’s time we look at his two years in San Diego to see if we can gather any information on what kind of GM he’ll develop into. Hoyer took over a 2009 Padres team that lacked an identity, outside of slugging first basemen Adrian Gonzalez. They finished the season 75-87, although they did go 36-25 after July. Frankly, the Padres were seen as a couple of years away, but Hoyer made a number of moves aimed at marginally improving the major league roster. Signing Hairston was primarily due to his versatility. Hairston spent most of his time in 2010 up the middle at short and second, but also saw time in left field, right field and at third base. Two years removed from a career year in Cincinnati, Hairston hit just .244/.299/.353 in 476 plate appearances in San Diego. It wasn’t a hugely successful move, by any means, but Hairston did provide adequate play and a veteran presence at short after Everth Cabrera had an injury-plagued, ineffective year. Kevin Correia was the Padres best starting pitcher in 2009, throwing 198 average innings. That tells you just about all you need to know about the rotation in ’09. There was potential in 2010 with young guys like Mat Latos, Wade LeBlanc and Clayton Richard, but the Padres rotation heading into 2010 still had a lot of questions marks. In signing Garland, Hoyer added a durable arm to anchor the rotation; Garland had thrown at least 190 innings in eight consecutive years. Further, the price was great, as the Pads inked Garland for just over $5 million. Based on past performance, Garland could be reasonably expected to add two WAR in 2010, so the Padres were paying only $2.5 million per marginal win. As anticipated, Garland hit 200 innings right on the nose, and did so in typical average fashion (106 ERA+). His strikeout and walk rates of 6.1 and 3.9 respectively were actually a bit higher than his career norms, but overall it was a pretty typical year for Garland. As GM of the Padres, Hoyer was going to have to shop for bargains on the free agent market, and his first real attempt was a promising start. Like the Hairston move, this was a minor transaction. Torrealba did go on to have one of his better seasons in 2010, however, hitting .271/.343/.378 (103 OPS+) in 363 plate appearances. Torrealba actually improved his raw numbers from his previous four seasons with the Colorado Rockies. Considering the differences in Coors Field and Petco Park, that tells you a lot about how surprising his year was. Again, it’s a small move, but it helped to show that Hoyer was adept at piecing together a roster on a budget. Thanks to the emergence of starting pitchers like Latos and Richard, a lights-out bullpen and Gonzalez, the Padres found themselves in unexpected territory by midseason 2010: On Aug. 28, the Padres were 76-52, six games up in the National League West. This was a team that was almost unanimously picked to finish near the cellar in the NL West. Somehow they road a hot April all the way through the trade deadline, providing Hoyer with a chance to make a definitive move to help assure the Padres a playoff spot. The Padres had issues all year at shortstop. Cabrera, a Rule 5 pick who hit a respectable .255/.342/.361 (438 PA) in 2009, looked completely lost in 2010. He hit .208/.279/.278 in 241 PA and combined with injury troubles couldn’t be relied upon as an everyday shortstop on a playoff contender. The aforementioned Hairston is a nice role player, but not a guy you want to send out there every day. Tejada was a shell of his former self at this point, of course, but he was still an average hitter who could hold his own at short. Tejada was suffering through his worst season since the late ’90s, hitting .269/.308/.362 (428 PA) in Baltimore. He was rejuvenated in San Diego, finishing the year with a .268/.317/.413 line in 253 plate appearances for the Padres. While acquiring Tejada was not a particularly bold move, the key here is that Hoyer gave up very little. Pelzer was a middling relief prospect who spent most of 2010 and 2011 in Double-A putting up middling numbers. He’s now 25 and doesn’t look like he’ll be much of a contributor at the major league level. Hoyer wasn’t finished trying to improve the Padres offense, picking up Ludwick in a three-team trade with the Cardinals and Indians. Since peaking in 2008 with the Cards (he OPSed .966 that year), Ludwick came back to earth in the following seasons. In 2010, he was hitting .282/.343/.484 at the time of the trade. At first glance, this looked like a really solid deal for the Padres. Ludwick would instantly become the Padres second best offensive threat, sliding right into the middle of the lineup. Or so the Padres hoped. Ludwick simply never got it going in San Diego, hitting .211/.301/.330 in 239 late-season plate appearances. While he was supposed to push the Padres into the playoffs, there’s little doubt Ludwick did more to keep them out, performing at or below replacement level. Ludwick would stay on with the Padres in 2011, making $6.78 million (second on the team) and hitting much like he did down the stretch in 2010 (.238/.301/.373). He was flipped to the Pittsburgh Pirates at the trade deadline for a PTBNL. The only positive here is that, again, Hoyer didn’t give away much for the rights to Ludwick. Neither Greenwood or Kluber are highly regarded prospects and, while both have a chance to contribute at the major league level, they aren’t big losses in a deep San Diego system. Still, picking up Ludwick and Tejada did little to push the Padres into the postseason (they collapsed down the stretch and lost the NL West crown to the Giants). If you’re going to credit Hoyer with Garland and Torrealba type moves, you have to dock him here. On a more positive note, perhaps Hoyer knew these Padres weren’t quite the real deal, and didn’t want to invest too much into a late-season run. Overall, Hoyer’s first season in San Diego has to be looked upon as a relative success. While most of the key parts to the 2010 team were in place before his tenure began, he still made a number of good moves to improve the team. His deadline acquisitions didn’t push the Padres over the top, but he also didn’t sacrifice any real trade chips in the process. The Padres entered the 2011 offseason in a tenuous position, coming off a very successful season in which they played over their heads for much of the year. Further, their best player, Gonzalez, now had only one year left under contract and there was little chance that he could be extended by San Diego. Hoyer started the offseason with one of his first signature moves, picking up an everyday center fielder for two relievers. When Maybin was acquired, there was some legitimate concern about his ability to start in the majors. He had hit just .246/.313/.380 (610 PA) in parts of four seasons with Detroit and Florida. He struck out 172 times in that period. Still, there was a lot to be excited about. Maybin reached the major leagues with the Tigers at age 20, and he was a consensus top-rated prospect since the time he was drafted. Maybin had always raked in the minors as well, putting up a career .305/.393/.477 line while always young for his league. Perhaps most importantly, Maybin wouldn’t be arbitration-eligible until 2013, so the Padres would have him under control for five years. In 2011, Maybin would prove himself one of the most valuable Padres, hitting .264/.323/.393 (40 steals) in the starting center field role. He also showed that he could hold his own in center, rating well by both UZR (+9.5 runs) and DRS (+12). Those numbers will likely regress going forward. but it’s not hard to see Maybin as an above-average defender through his prime. Somehow Hoyer was able to nab Maybin for two middle relievers. Mujica did show plenty of promise in 2010, posting a ridiculous 12-1 strikeout-to-walk ratio in 69.7 innings. Still, he just couldn’t put it all together, because of major issues with the long ball (37 homers in 233.3 career innings, before moving to Florida). He was a rock in the Marlins pen in 2011, putting up a 2.96 ERA in 76 innings of relief. He only allowed seven homers, though his strikeout-to-walk ratio regressed to a more believable 4.5-1. The Marlins control Mujica through 2013. On the Padres’ end, there was more concern about losing Webb, a 6-foot-6 right hander who looked very promising coming out of the San Diego bullpen as a youngster. His strikeout and walk rates (6.7 per nine and 3.2 per nine, respectively) weren’t that impressive in San Diego, but Webb’s a ground-ball specialist (61 percent) and unlike Mujica he doesn’t allow home runs. He had a nice year in 2011 for Florida, working 50.7 innings to a 3.20 ERA, allowing just two homers. There’s not a lot of upside, but he should be a mainstay in the Marlins pen and he’s under control through 2015. Hoyer had to give up some value here, but he still only dealt two middle relievers for a potential cornerstone player. With the Padres organizationally deep in relief talent, it was really a no-brainer and a move a team like San Diego has to make every time. Depending on how Maybin develops, it could go down as one of Hoyer’s biggest coups. Hoyer and the Padres were in a particularly tough situation regarding what to do with Gonzalez. He had clearly developed into a franchise player, but he had only one year remaining (for an all-too-reasonable $6 million) on his contract and it was going to be virtually impossible for the Padres to sign him long-term in San Diego. With that in mind, Hoyer and company had to make the decision whether to deal Gonzalez in the offseason, at the trade-deadline, or hold onto him for the entire season and pick up some draft picks. They decided to deal him in the offseason to the Red Sox for three prospects (Patterson was a throw-in who contributed very little in 2011). Rizzo is an athletic, left-hand hitting first basemen. He came over as a highly touted prospect who had put up solid-if-not-spectacular numbers in the Red Sox system. In 2011, he had a break-out campaign at Triple-A Tucson, hitting .331/.404/.652 and bombing 26 home runs in only 413 plate appearances. Rizzo did this all at the age of 21. He was called-up to the bigs late in the season but struggled, hitting .141/.281/.242 (153 PA). With the upheaval in the Padres front office and the recent acquisition of first base prospect Yonder Alonso, there are serious questions about Rizzo’s place in the organization. Before the big Latos trade, Rizzo was ranked as the Padres’ best prospect by Kevin Goldstein. A former shortstop, Kelly is an athletic right-handed starter. After struggling in Double-A in 2010, Kelly repeated the level in the Padres organization in 2011 and had much better results. However, despite the big drop in ERA (from 5.31 to 3.98), Kelly’s peripherals didn’t improve much in San Diego, and there are concerns about his relatively low strikeout numbers. His career minor league strikeout-per-nine is 7.0 and last year it dipped to 6.6. Kelly is ranked third in the Padres organization by Baseball America and seventh by Kevin Goldstein. While not rated as highly on prospect lists, Fuentes may have more upside than either Rizzo or Kelly. He’ll turn just 21 in February, and he’s proven he can handle every level so far, putting up a career .275/.335/.373 minor league line. He obviously has to develop more with the bat, but Fuentes’ speed and athleticism in center will give him every chance to do that. 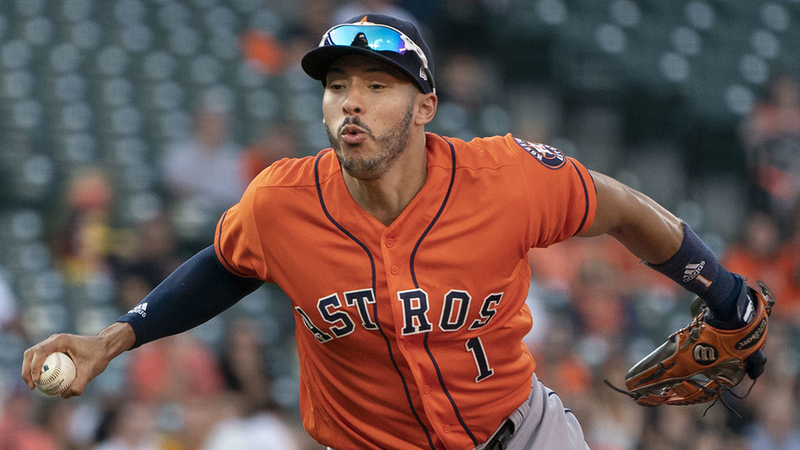 Hoyer had to turn Gonzalez into something of value, and he did that in acquiring two bona fide top prospects and a young center fielder with good potential. Considering Gonzalez only had one year remaining on his contract, this has to be looked at as a pretty good haul. This move along with the later Mike Adams flip to the Texas Rangers went a long way toward restocking a solid, yet underwhelming Padres farm system. Harang was coming off a career-worst season in 2010, pitching to a 5.32 ERA in 111.2 innings. Still, it was a pretty nice pick-up, as Harang recorded a 111 ERA+ and a 3.5-1 strikeout-to-walk ratio in his previous five years in Cincinnati. He was certainly an injury and performance risk coming into 2011, but $4 million is peanuts on the free agent market and it appeared to be a pretty good gamble by Hoyer and the Padres. In 2011, Harang was a staple in the San Diego rotation, throwing 170.2 innings to a near league-average (Petco-adjusted) 3.64 ERA. Harang’s peripherals remained almost identical to his poor 2010 season, but his BABIP dropped from .338 to .302, helping to produce much better results. Like the Garland signing, acquiring Harang again showed Hoyer’s ability to make astute moves on the free agent market on an extremely limited budget. The Padres clearly needed to shore up their middle infield going into 2011, and this was their first of two (failed) attempts at doing that. Bartlett had a career year in 2009 when he OPSed .879 in 567 plate appearances with the Rays. The rest of his career can be described as mediocre at best. In 2011 he was less-than-mediocre, hitting .245/.308/.307 in 618 PA for the Padres. Bartlett’s defense at short was adequate, but it wasn’t enough to make up for the putrid offense. Overall, he just didn’t provide the answer at short. Bartlett made $4 million in 2011 and he’s due $5.5 million in 2012 (with a $5.5 million club option in 2013, $1.5 million buyout). The Padres didn’t give up any top prospects in this deal, but they did send a couple of intriguing pieces Tampa Bay’s way. Of the relievers, Gomes clearly offers the most potential. He recorded a 2.92 ERA in 37 innings in the 2011 Rays pen, striking out 32, walking 16, and allowing three home runs. He’s posted some gaudy numbers in the minors and has a chance to stick around in the Rays pen. Figueroa, 24, has very good on-base skills. In more than 1,500 minor league plate appearances, he’s put up a .292/.390/.393 line. He’s shown great control of the strike zone with 203 walks to just 163 strikeouts. With a solid defensive rap, Figueroa has a chance to develop into an everyday second baseman. Russell is a 6-foot-8 middle reliever with some serious control issues. In the Tampa Bay bullpen in 2011, he walked 20 and struck out just 13 in 32.7 innings. Ramos, 27, is another middle reliever. Ramos was slightly better in the Rays pen, throwing 43.2 innings while striking out 31 and walking 25. Hoyer didn’t get the best of Andrew Friedman and the Rays here. While it looked like a potentially okay move at the time, one could easily prefer Figueroa to Bartlett right now, salaries considered. Throw in the other three guys, especially Gomes, and Tampa Bay definitely wins this deal. Still, it was by no means a terrible move, and Hoyer again managed to hold onto all significant prospects. Second baseman Hudson had a decent year in 2011, hitting .246/.329/.352 in 454 plate appearances while playing acceptable defense. He was worth from one to two WAR, depending on your source. On the free-agent market, paying $5-6 million a year for that kind of production isn’t too bad a deal. One might wonder why Hudson, a fan favorite and apparent clubhouse guy, couldn’t bring in a few more dollars as a free agent. Well, as it turns out, in one season he went from fan favorite, good clubhouse guy to malcontent. He got into it with some fans on Twitter about booing the team and apparently didn’t have the kind of attitude you’d expect from a leader in the clubhouse. Overall, this wasn’t a good move, despite the semi-favorable contract, and unless the Padres can unload Hudson this offseason it appears they will be stuck with him for another year. Before bidding us adieu a few months later, Hoyer pulled off one of his finest moves, picking up two quality starting pitching prospects for one reliever. Adams is a shut-down reliever who has put up a career 2.11 ERA in 311.1 innings in the majors. He’s K’ed 9.3 per nine, walked 2.6 per nine, and given up .7 homers per nine in his career. He was excellent for the Rangers down the stretch, posting a five-to-one strikeout-to-walk ratio in 25.2 innings. He did struggle a bit in limited postseason innings, but overall the Rangers got what they expected out of Adams. They have him under control for 2012, Adams’ final year of arbitration. Hoyer was again dealing from a position a strength here, with Heath Bell, Luke Gregerson and Ernesto Frieri in the pen and a seemingly endless supply of capable bullpen arms in the organization. Further, the Padres were out of it at the deadline, and a non-contending team doesn’t need a guy like Mike Adams. One would think a reliever of Adams’ quality would net a solid prospect, but Hoyer got two. Wieland, 21, had a breakout year of sorts in 2011, with a 1.97 ERA in 155.7 innings split between High-A and Double-A. Wieland struck out 150, walked just 21, and gave up nine home runs. That’s a seven-to-one strikeout-to-walk ratio. Wieland was recently ranked seventh on Baseball America’s top Padres prospects and fifth by Goldstein. Lefty Erlin is almost a year younger than Wieland and also had a very fine year split between High-A and Double-A ball in 2011. Erlin threw 147.1 innings to a 2.99 ERA in 2011, striking out 154, walking a minuscule 16, and surrendering 18 homers. That’s over nine strikeouts to every walk, to one-up Wieland. Erlin is ranked eighth by Baseball America and second by Goldstein. Both prospects offer a similar long term outlook, and both have potential to be middle-of-the-rotation starters for the Padres by 2013. Adams is a very nice reliever, but like the Cameron Maybin trade, this is one the Padres have to make every time. Hoyer’s final major transaction has a chance to go down as his best overall move. Hoyer’s lasting impact on the Padres organization will be the infusion of talent at the minor league level. Along with the trades that sent prospects to the Padres, Hoyer, McLeod and company also added plenty of talent in the draft. So far, it looks like the 2011 draft might be the better of the two, adding players like second baseman Cory Spangenberg, right-hander Joe Ross and catcher Austin Hedges, who have already established themselves as bona fide prospects among scouts. In 2010, the Padres drafted right-hander Karsten Whitson in the first round (ninth overall) but failed to sign him. They did add promising prospects like third baseman Jedd Gyorko and right-hander John Barbato later on. If you look at Baseball America’s or Goldstein’s top Padres prospects, a remarkable eight out of 10 were acquired under Hoyer, who transformed a system that had depth but few established prospects into one of the best systems in the game. Now guys like outfielders Jaff Decker and Donavan Tate and right-hander Simon Castro, formerly very highly touted in the Padres system, are almost forgotten amid the influx in talent. Hoyer’s moves at the major league level are more of a mixed bag. The good: Garland, Harang, Maybin. The bad: Hudson, Bartlett, Ludwick. Hoyer did prove he could assemble a solid roster on a limited budget, though obviously all of his moves didn’t pan out. He also failed to add a key contributor at the deadline in 2010, and the Padres missed out on the playoffs despite a six-game late-July lead. One could use that as a knock against him. Overall, Hoyer’s vision of the big picture has to be what was most appealing about his time in San Diego. In his two years he never dealt a highly rated prospect in turn for major league talent. And, as we’ve discussed in detail, he added a ton of young talent into the organization. Every situation is different, obviously, but Chicago Cubs fans should have good faith in Hoyer. While the Cubs may not be competitive in year one or two, it’d be surprising if they weren’t a contending team within a few seasons. It won’t hurt that Theo Epstein will be looking over his shoulder. Baseball-Reference and FanGraphs for stats. Cot’s Contracts for contract data. The one major thing that sticks out to me is Hoyer has seemed to master the “low risk, high reward” type move. Most of his moves are of this sort so even if they don’t pan out, like Bartlett, it isn’t a big deal. And in the cases it has panned out, like Maybin, it’s a huge plus. If the rumored deal of Sean Marshall for Travis Wood and 2 prospects materializes, it appears Hoyer has already begun a similar process in Chicago. A non-contending team should always deal a reliever for a starter and prospects, and as Ari Berkowitz says, it seems a typical “low risk, high reward” type move. There is some similarity to the Mike Adams deal-an excellent reliever for a starter who may become worthwhile. Of course, we don’t yet know the caliber of prospects involved, but acquiring numbers of young players gives a team a better chance of finding a useful contributor. Travis Wood is extremely underrated, he can be a 3 starter, is only getting better and is under team control for at least another 4 years. Also, he’s an extreme flyball pitcher and his former home park was a great hitter’s park which isn’t the best match. Sean Marshall is also only under contract for another year. The same can be said for the David DeJesus signing. Exactly, guys. Hoyer really didn’t make a single head-scratcher while in San Diego, and that’s part of the reason why they currently have no long-term, albatross contracts. The low risk, high reward strategy is a good one for any franchise, especially one that’s in the process of rebuilding.